Working meeting with Acting Head of Udmurtia Alexander Brechalov. Vladimir Putin with acting Head of the Republic of Udmurtia Alexander Brechalov. The discussion dealt with the socioeconomic situation in the region, with a focus on the relocation of people from dilapidated and hazardous housing. 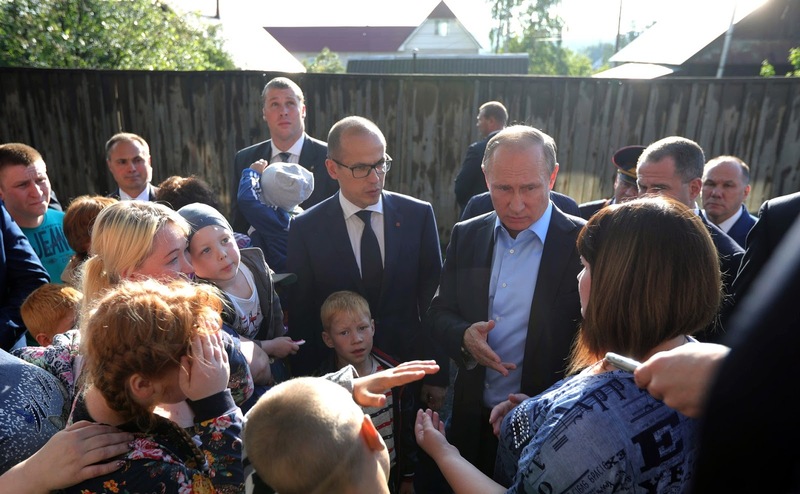 Earlier, the President visited a hazardous residential building in Izhevsk that is home to a woman who asked the President a related question during Direct Line. 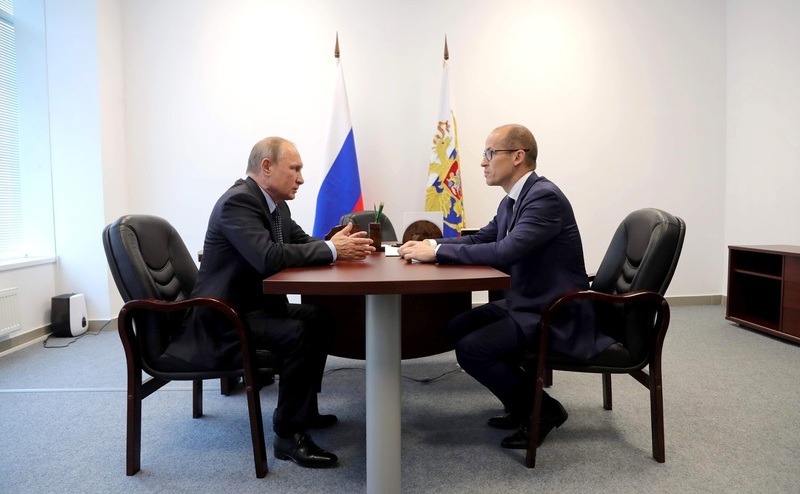 Beginning of the meeting with Acting Head of the Republic of Udmurtia Alexander Brechalov. Mr. Brechalov, how long have you been in office? Quite a short time, of course. However, you have probably realized that this is a very interesting republic, with good and well-qualified people, industry, agriculture and culture. It has everything. We need to give a boost to development. What do you think we should focus on? Mr. President, you are completely right. First of all, I would like to thank you for my appointment. This is a very serious challenge. And you are absolutely right – the republic is unique. It has a very compact territory: 280 kilometers from north to south and 180 kilometers from west to east. It has not only great industrial and agricultural potential but also great human capital and potential. There are certainly very good people here, original and creative people. I have been able to see for myself what a unique story and what marvelous national traditions there are here. Our future wealth is our people, our ability to give children the opportunities they need to develop and realize their potential. 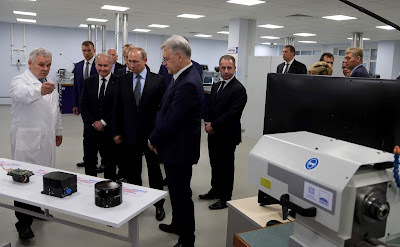 Today, we have signed an agreement on Quantorium with the Kalashnikov Concern, and this is the first step in strengthening our position. Let me recall that Udmurtia is a national leader in terms of the number of winners at competitions for students in various fields. Our students consistently bring home prizes in maths, physics, and robotics at these competitions. We therefore have great potential resources and opportunities. What did we start with? We first made clear our ideology. Udmurtia is part of the globalized world and not somewhere on the edges of civilization. We have civilization here and are ensuring all conditions needed to develop it. practically to our entire budget revenue. Did you refinance it in part? You moved none of it from the commercial banks? We reduced it by using 2 billion rubles from our own reserves in order not to have to make interest payments. 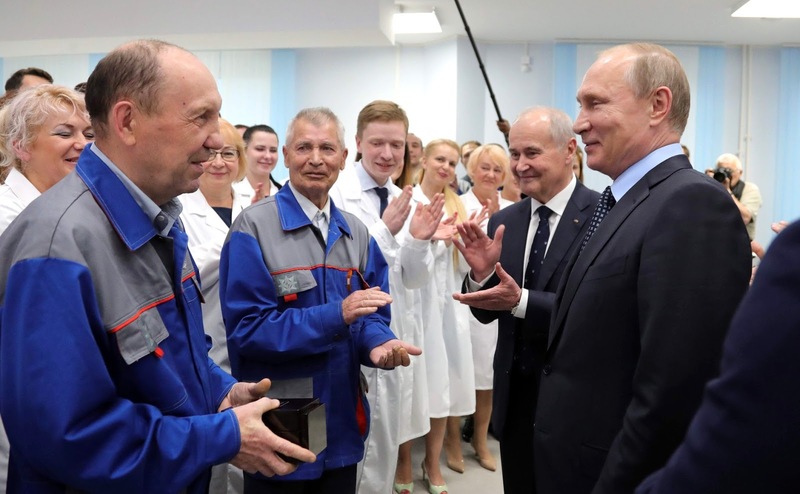 We raised around 1.5 billion rubles through cutting ineffective spending and starting active work on raising effectiveness. In particular, there is the project that you approved, the priority project for safe, high-quality roads. 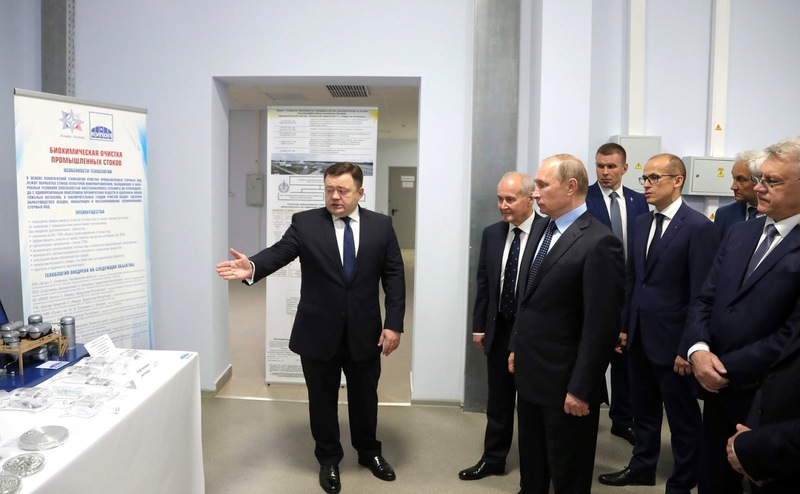 This is an important project that is being implemented in Udmurtia too, in the greater Izhevsk area. We saved 168 million rubles at tenders. As you know, we have major problems with our roads and the public is very much concerned over this. The 168 million saved will allow us to repair more roads in the city. All of this is done in public and open fashion. These are our main steps. Effectiveness is our main focus. We are not just asking the country at large and you to help, but are turning above all to our colleagues, from the municipal to the federal level. We are developing a new management model based on a project approach. This is of vital importance because when you have officials responsible for a wide variety of areas at once they end up not responsible for anything. We are dividing our priority projects along lines of this project approach and we are already seeing the results. Children are a priority, of course. I briefed you on the Mentorship project. 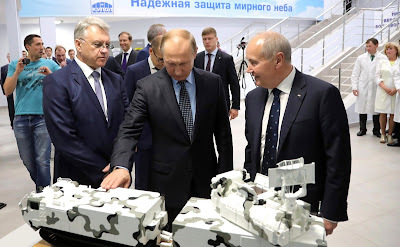 There are projects such as the one we signed today with Kalashnikov, and we will have projects in the sports field too. Udmurtia has strong sporting traditions, particularly in hockey, biathlon and skiing. We will take all of this to a new level. I particularly want to note our work on preserving the ethnic and cultural heritage. We have excellent work with ethnic and cultural associations in this area. Udmurtia is home to more than 130 different ethnic groups and the people working on these issues do so very professionally. We have an excellent House of Friendship, excellent cooperation between Muslims, Orthodox and all ethnic groups, and we are supporting this and making this a focus. In particular, we recently took an important decision. Udmurts make up close to 30 percent of Udmurtia’s population, and they have long been asking for an Udmurt cultural center to be opened in Izhevsk. 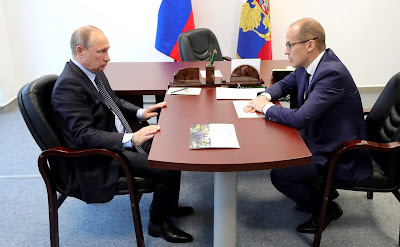 President Putin meeting with acting Head of the Republic of Udmurtia. You plan to build a village? That is a different project. This one is an Udmurt cultural center. We met with Udmurt Kenesh, the main Udmurt association, and decided to open this center. It will open on the site of the former Vladimir Korolenko Theatre. Vladimir Korolenko is a symbolic figure in Udmurtia. 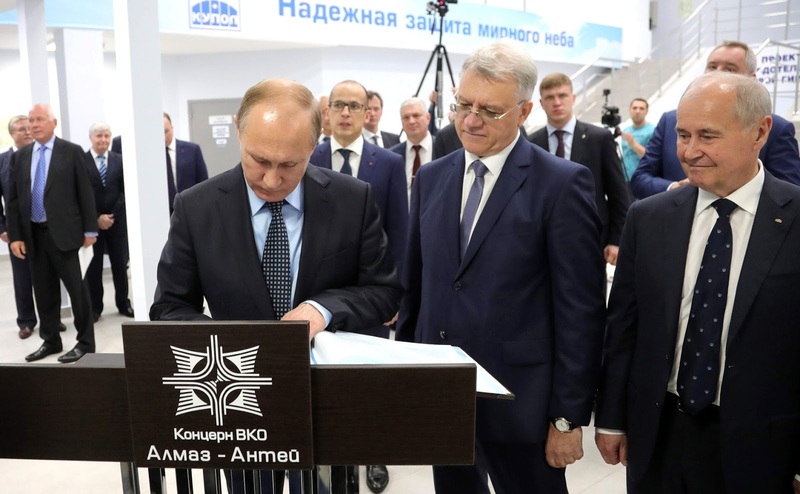 The center will open in time for the 100th anniversary of Udmurtia’s statehood as the Republic of Udmurtia, in 2020. With regard to the village, you note this quite rightly. We studied the experience of Kaluga, the Kaluga Region, where the Etnomir village has been a very successful project. We discussed this with the various ethnic and cultural associations and they all support the idea. The project will see the development of an ethnic village of the different ethnic groups living in Udmurtia. This is what we are going to do here. For now, we are putting the focus on ethnic groups living in the republic. People here responded well to the idea, which has been welcomed by the Armenians, Chechens, Udmurts and Mari. Initiatives have followed immediately. We give great attention to preserving ethnic and cultural heritage. In work to develop communities, my previous work in the Russian Popular Front and the Civic Chamber will help me. You recall the Community forum of active citizens, at which we laid the bases of a new culture of cooperation. 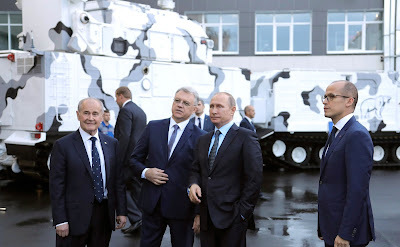 We held very original Russia Day celebrations on June 12, with a program entirely made up of proposals from the public. 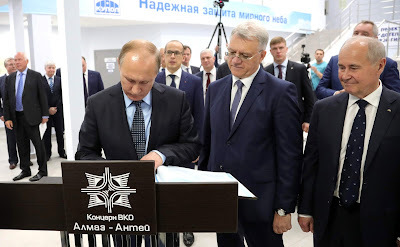 People proposed making June 10 Yard Day, June 11 District Day, and June 12 Izhevsk City Day, as Izhevsk’s anniversary happens to coincide with Russia Day. There were some attempts to hold opposition events, but no one showed any interest. Vladimir Putin: Anyone has the right to propose initiatives. Certainly, but we had wonderful events going on in yards and districts over three days. We see great potential in the economy and we have two main directions here. The first direction is the Made in Udmurtia project. 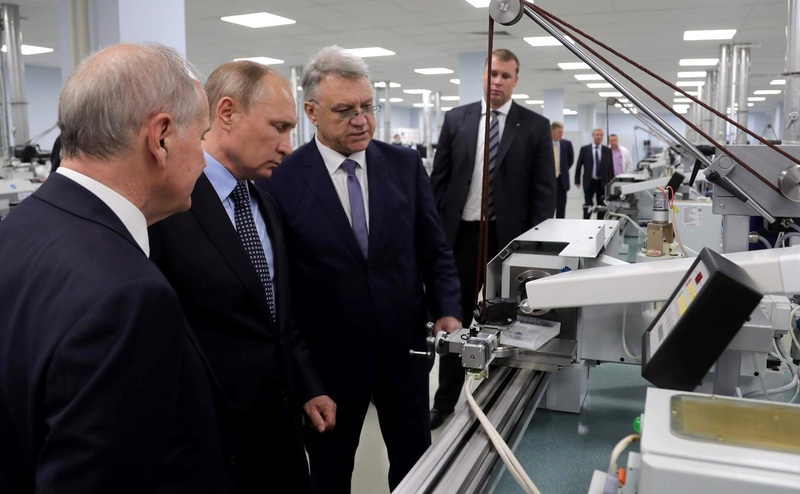 Here, we are working actively to promote our high-tech, high-quality goods not just in Russia but also on markets abroad. 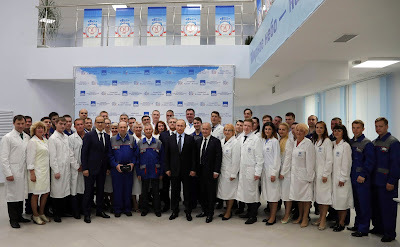 Our region is a pilot region for the Russian Export Centre. We therefore consider that we have substantial reserves to draw on for increasing our gross regional product. There is also the Investing in Udmurtia project. On August 2, we will make a detailed presentation of a map of our investment opportunities, and I hope for the support of [First Deputy Prime Minister] Igor Shuvalov. We carried out a full inventory of all opportunities, from village to city level. This was a huge undertaking. Our municipalities and mayors were genuinely surprised to realize the true extent of opportunities. Their first reaction was to say that we have practically nothing to offer beyond agriculture and the defense industry. But I can tell you that 30-page reports were put together for each municipal district, identifying opportunities in sectors ranging from roadside services to events-based tourism. There are some big projects possible here. This is our second main direction and we will present it on August 2. 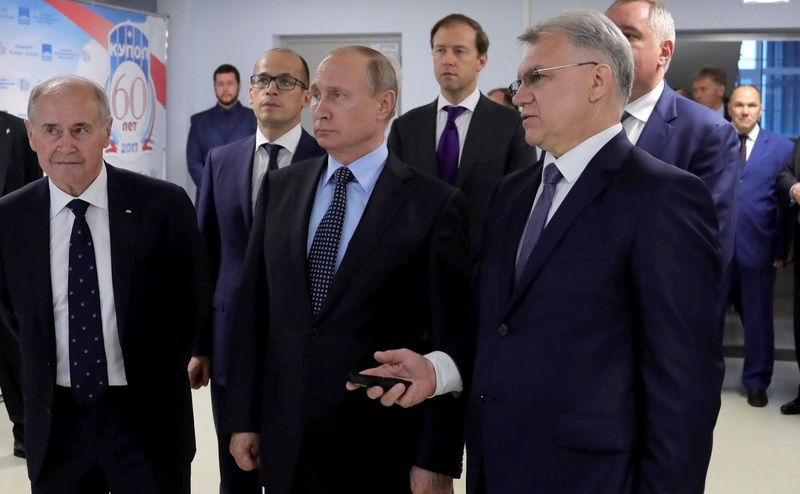 I can say confidently that we are going to present Udmurtia’s investment opportunities to the world. 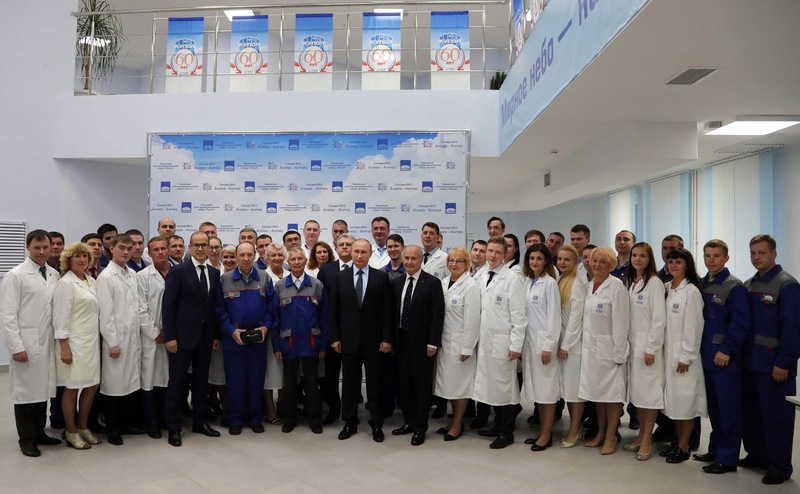 We are setting our companies, business community and officials, my colleagues, on the idea that we must compete in the broader world, not just with neighboring regions, with Russian regions, but with the world in general. We already sent a business mission with [Plenipotentiary Presidential Envoy to the Volga Federal District] Mikhail Babich to China. This was a success and they saw the great opportunities that we can offer. This is the departure point for Udmurtia’s more intensive development. All of this illuminates the possibilities we have, and these opportunities will help us to resolve the tasks ahead. This is interesting information. We will discuss it further, but, at the risk of seeming tedious, you must sort out the dilapidated housing problem. We have had this issue under particular control right from the start. You said there are people with limited means and possibilities there, not just the family that called during the Direct Line, but other people also living in similar conditions. This project you spoke about just before when we met with people today, it is a good project, the project to renovate the avenue [renovation of Kalashnikov Prospekt], but you should proceed with great care and take into account the wishes of those who wish to remain in the district and those with other wishes. You need to take an individual approach in each case. Yes, of course. I know how much importance you place on this. Right from the start, we are taking the approach of giving priority not just to the existing waiting list of people looking to be relocated from dilapidated housing, but to those in greatest need. Putin inspected hazardous residential building in Izhevsk. Russian President Vladimir Putin inspected hazardous residential building in Izhevsk. Vladimir Putin inspecting a hazardous building in Izhevsk. 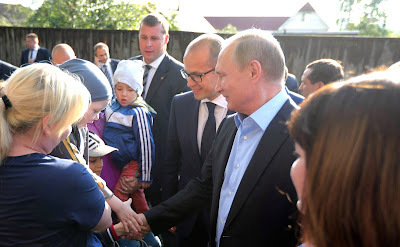 During the Direct Line with the President on June 15, Izhevsk resident Anastasia Votintseva told Vladimir Putin that she and her children are forced to live in a hazardous building. She explained that the building was recognized as hazardous but its demolition is scheduled only for 2029. During a meeting with residents of the unfit residential building, Acting Head of Udmurtia Alexander Brechalov set out the plans for the district’s renovation and for relocating all the people living there into new housing. Eleven families most in need will be the first to be relocated. Mr. Putin recommended that apartments purchased on the secondary market be used in the relocation effort and promised to help with funds from the Presidential Reserve Fund. President Putin with citizens of Izhevsk.